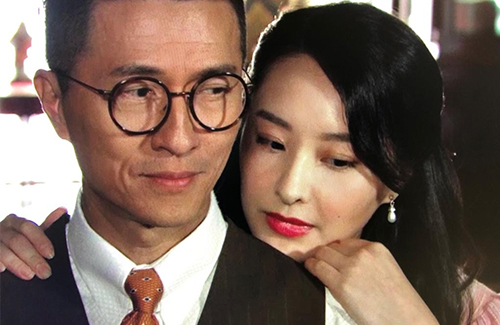 TVB’s The Ghetto Fabulous Lady <福爾摩師奶> featured a shocking twist this week, revealing the manipulative relationship between Officer Kiu (played by Gilbert Lam 林韋辰) and Sugar (played by Jeannie Chan 陳瀅). Kiu had been holding Sugar captive, but Sugar willingly submits to Kiu’s power due to her Stockholm Syndrome. Yau Chee (played by Dickson Yu 余德丞) discovers Kiu’s dark secret and plans to incriminate him, but Sugar defends Kiu and ends her friendship with Yau Chee. Meanwhile, the son of the original Heung Lo House landlord confronts Pau Mui-tai (played by Alice Chan 陳煒) about the ownership of the house, to which Mui-tai claims that Heung had transferred ownership of the house to her after her death. At this time, Sugar suddenly comes out as the true owner of the house and forces all the tenants to move out within the day. The residents of Yau Ma Tei quietly protest to force Mr. Potter (played by Paul Gare 紀保羅) to step down, and Kiu finally becomes the Chinese Affairs General. Does the original writer know what Stockholm Syndrome is?? She’s definitely NOT that. She’s just all of sudden turned bitter towards everyone because she wrongly assume everyone abandoned/forgotten her. Writing for her character, for this series as whole, make no sense. I’m surprise there isn’t much backlash on Jeannie acting. She is utterly horrible. Her voice, her tone, her expression, her cry, her everything is more wooden than a bamboo spatula. She’s a snoozer. @jimmyszeto Yea, Jeannie can’t act worth a crap. She makes Grace Chan look like a pro. Sad. @jimmyszeto Ha, those actresses in that era had poise and poster perfect, glamorous look. Jeannie doesn’t. Her acting and her character are an incoherent mess. There’s nothing redeemable about her acting or real life personality (saw lots of article where she complained about work, smh). Also, is it just me or her look is changing now. Her face is not as wide (I don’t mean fat, just the jawline and shape), and more cookie cutter heart shape now. Thought she stood out then, now just another face. Typical. I think so many rich tycoons or 3rd gens will be lining up for someone like that though. They usually go go for that kind of sharp face features. Cathy Tsui, Michelle Reis. Don’t think the heirs care about talent..